Welcome to the page with the answers to WordScapes daily November 10, 2017. We understand that is not so easy to find all the answers of this level, so we managed to find all the words for you. 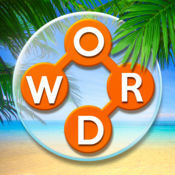 Get back to the daily answers homepage for Wordscapes and select another date. If you want the answers to the normal levels, just go to the homepage and select the category in which you are blocked. If you need the answers to other games, please do not hesistate to contact us!